Dharma Yukam is the state of absolute bliss as per Ayyavazhi mythology. This Dharma Yukam is stated in the Akilam seventeen in Akilattirattu Ammanai. 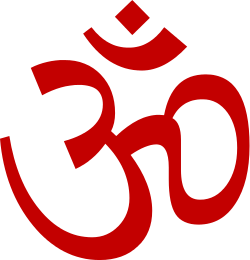 This on one hand is related to Dharmic moksha and on the other viewed in relation to Abrahamic heaven. As soon as Vaikundar attained Vaikundam, he was welcomed by devas and Narayana. Then the Kalai Muni and the Gnana Muni who witnessed the activities of Vaikundar by being with him, narrated the events related to him. And then Vaikundar is crowned by Narayana as the king to rule the fourteen worlds (lokas). Then as per the command of Narayana both of them carried Vaikundar in a 'Ratha' around the Vaikunda Loga with drums and music played. After they brought Vaikundar along with the Devas and the Munis in front of Narayana. Narayana wished Vaikundar and proclaimed that Vaikundar is the supreme of Vaikundam here after. Then he ordered the Devas to go to Kailash and engrave in the Mount Meru that,"As per the holy Agama Vaikundar is going to rule the whole worlds from today onwards." Then immediately Narayana Crowned Vaikundar and gave him the sovereign authority and other divine paraphernalia to Vaikundar. And then Narayana along with Siva and other devas seated him on the throne. Vaikundar being in the thrown pleaded towards Narayana for the upliftment of his people, The Santror. Narayana replied that they will be saved from the evil of kali and Kali Yuga and will be with absolute bliss and prosperity in the upcoming Dharma Yukam. Until then he asked Vaikundar to be in austirity in the thrown. He also told that, for testing the faith of the people towards him (Vaikundar), they've to send a 'false deity' to the world which claim itself to the god and could perform many miracles. Afterwards the yuga will be destroyed and the people will be saved and will be given an eternal life of bliss. Vaikundar realised, here in the world, good people are those who suffers most while those with evil thoughts lead a happy life. So he refers the agamas to know the time limits of this. He found that since the Yuga is 'Kali' this will only happen here. So he thought of destroying the Kali yuga. Immediately, Vaikundar thinks of the destruction, the nature started to react as a destructive medium. The fires burned out all unwanted things and beings. The whole universe got excited due to this event. Then Vaikundar think of creating the good things. Immediately all those good beings such as 'good people' , 'good animals' , 'good birds' , good reptiles, good plants etc. gets originated and activated. And then he ordered the Ocean to wash out the bad(evil) things immediately. Then Kroni was brought before him and he was remained all the events once again that took place right from his birth. He was also remained the promise once he (as Kaliyan) made that, "If myself tends to torture any Pandaram, I and all my means will go to hell". Kroni being have nothing to say, surrendered all his powers and boons. The force of illusion took hold of him and put him into the flames of the abyss where the devils resided. Then the evil force along with him went into the hell. Then Vaikundar blew the Conch announcing the victory. Hearing the sound all that befitted Dharma Yukam - the virtue, the Sastras, the plants and trees, the reptiles and the birds, the divine women and their children - all gathered around Vaikundar. He gave them blessing, and instructed them to live fearlessly. He enjoined upon them to assemble in one place, to drink from the same well, and live happily as per the values of Dharma. Arisundara Mani, (2002), Akilathirattu Ammanai Parayana Urai, 2002 Vaikundar Thirukkudumbam Publications. G. Patrick, (2003), Religion and Subaltern agency, University of Madras. N. Vivekanandan, (2003), Akilathirattu Ammanai Moolamum Uraiyum, 2003, Vivekananda Publications. Mani Bharathi, (2003), Akilathirattu Ammanai Vilakka Urai, 2001 Part - 2.